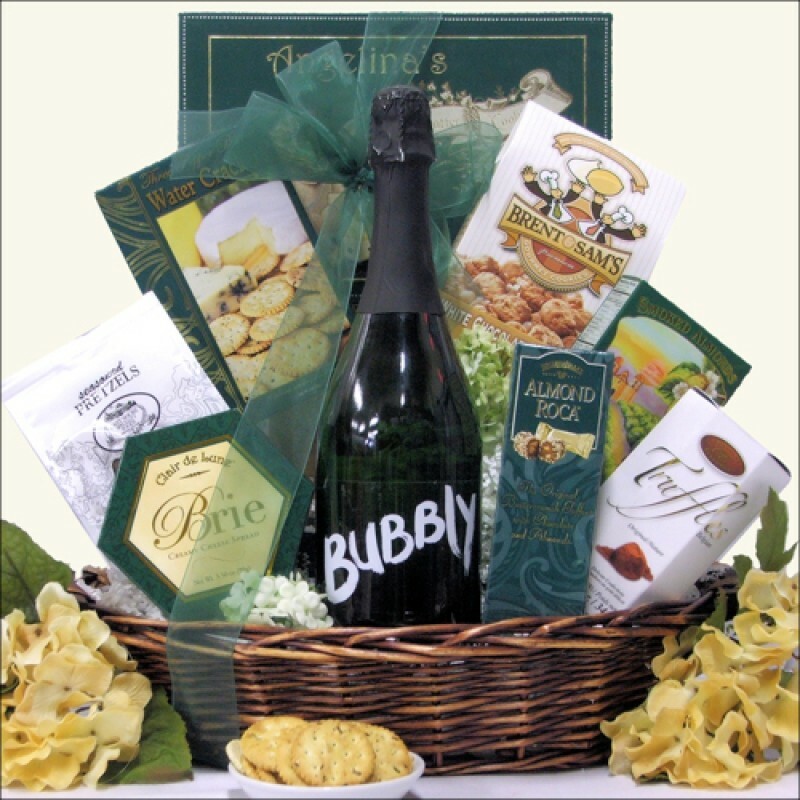 They are surely going to love to receive this great Sparkling Wine and Snacks Gift Basket, and you will have a choice between two delicious sparkling wines. You can choose between the delicate and fruity Bubbly Sparkling Wine or the floral and citrus flavored Beringer White Zinfandel Sparkling Wine. Either will be a wonderful addition to the delicious snacks including Clair de Lune Brie Creamy Cheese Spread, Fielding's Fine Belgian Truffles, Brent & Sam's White Chocolate Macadamia Cookies and much more. ...in an Oval Dark Stained Gift Basket with Wooden Handles.